I’ve helped out the ladies with a summer and winter packing list for Iceland. I didn’t want the guys to feel left out, so I knew a MENS packing list was in order! The main think about while packing for Iceland is to always be prepared for wind and/or rain. It’s totally normal to experience all four seasons in one day! Dressing in layers is really helpful. It can start off cool in the mornings, but warm up during midday so having clothing that you can easily take on and off is key. Since I’m no expert in what men would need for a trip, I recruited my husband’s help for this one! Weatherproof jacket: The main thing you want from this piece is for it to be water/windproof. I always recommend having a hood, you never know when you’ll need it! Pro tip: bright colors stand out more against the Icelandic landscape! Down jacket or vest: What I love about these down garments is they are an easy layer for insulation on a colder day, yet size friendly as they pack into a small bag. It’s also nice to have the option of using this piece separately from your outer shell jacket. Fleece: A fleece jacket is nice because it can also be worn as an under layer for warmth, or as a standalone jacket itself. You would be able to use this kind of jacket on a mild day in Iceland (i.e. no wind) or for walking around downtown. Outdoor pants: Outdoor pants are a MUST for Iceland travel. Not only are they more comfortable than jeans, but they are also super functional for the weather conditions in Iceland. Their ability to keep you dry, as well as layer spandex or thermals underneath, will make this your go-to item. Check out this fleece-lined version if you’re coming in the winter and looking for some extra warmth. Pro tip: buy pants that are semi-fitted which helps for windy days! Rain gear: Good rain gear is absolutely essential in Iceland. There will be periods of spitting rain throughout the day and the last thing you want is to be wet for your adventures! Not to mention if you plan on walking behind waterfalls, you’re gonna get wet! Hat: I know not all guys like to wear hats, but it’s really important to have something that will cover your head. When my dad was planning on coming to Iceland, he protested bringing a hat but then never took it off the whole time! This lightweight one is nice because it comes in so many colors! And then a fleece-lined option if you’re coming in winter. Gloves: Like the hat, a lot of guys might not like the idea of wearing gloves. Trust me, if you need something to keep your hands warm, you are going to be glad I warned you! Keep in mind you will want a fabric that is somewhat water resistant – don’t get a cheap cotton pair that will stay wet if (oh sorry when) it rains. Pro tip: get a pair with touchscreen fingers, because Instagram Husband! Neck gaiter: A neck gaiter is another item that is really nice to have for extra warmth in windy situations. A Buff is really nice because it’s versatile – can be used for the neck OR as a hat/headband! I know my husband probably wouldn’t use this unless it was winter or we were traveling in the highlands. But again, better to be more prepared than cold and miserable! There is also a fleece option for winter. Thermals: Thermals are great because they’re nice base layers and great for moisture-wicking warmth. Top // bottoms. Jeans: I don’t think jeans are smart for adventuring around Iceland, it’s nice to have a pair of jeans for hanging out and going to dinner. Pro tip: Icelanders dress well, with a more tailored style for their pants. Joggers: For the plane, for the hotel, I mean…it’s all about comfort, amirite?! Longsleeve shirts: Different style layering tees are good for extra layers and lookin’ great. Make sure to opt for a polyester blend, rather than cotton which isn’t great for traveling or activities. Dri-fit tee: Again, another layering piece, or nice to have on warmer days. Here’s a sporty version (hiking) and a more casual version (dinners). Hiking boots: Good footwear is so essential for exploring around Iceland. The terrain is unpredictable and you want to keep your feet in good shape for the duration of the trip! I recommend hiking boots, especially if you’re actually hiking. If you’re sticking to the main stops along the road, hiking shoes are also a great option. Pro tip: Bring a cheap pair of flip-flops for between the hot springs and changing rooms! Socks: It’s really important to have good quality socks. I like Smartwool because they are lightweight and moisture wicking at the same time. Amazon has the best price for Smartwools! Sunglasses: Even though there are a lot of cloudy days in Iceland, the sun does come out! Swimsuit: It might sound strange to bring your suit to the Arctic, but with Iceland’s plethora of hot springs, you’ll want to make sure to have this along! Headlamp: Ok so you won’t need a headlamp in June for the midnight sun, but any other time of year this will be super convenient. Not to mention as a light source for those good Northern Lights pictures! Quick-dry towel: So convenient for those hot springs! And if you’re planning on camping or staying in a hostel (pay for towels), this really comes in handy. Water bottle: Buying water in Iceland is just silly. You can drink the water out of any faucet or even from the stream you are hiking by – it comes straight from the glacier! Day bag: Having a small bag or backpack is nice to carry your gear with you between the car and the sights. We usually have everything from our rain gear, camera equipment, tripod, water, and snacks! Pro tip: get a rain cover to keep your backpack dry in case of spontaneous rain! Camera gear: See my complete Iceland camera essentials + packing list HERE! Car charger: For when your camera and/or phone goes dead when you’re on the road. Extra phone battery: In Iceland, the cold can zap your phone battery FAST! My secret weapon for making it through the day – a little extra boost from this handy portable phone charger! So small, yet so powerful. Converter: I’ve blown up many converters in my life but this is the best one I’ve found. It’s sturdy, has 2 USB ports, and universal for all of your worldly travels. Do yourself a favor and make sure to have more than one! Medications: In Iceland, you can’t get stuff like ibuprofen or cold medication over the counter. Bring whatever you think you will need. *To help me keep making great videos and posts throughout the year, I would really appreciate it if you reserve your accommodation through my affiliate link. It’s no extra cost to you and a big help for me to show you new ways of planning the best trip ever! 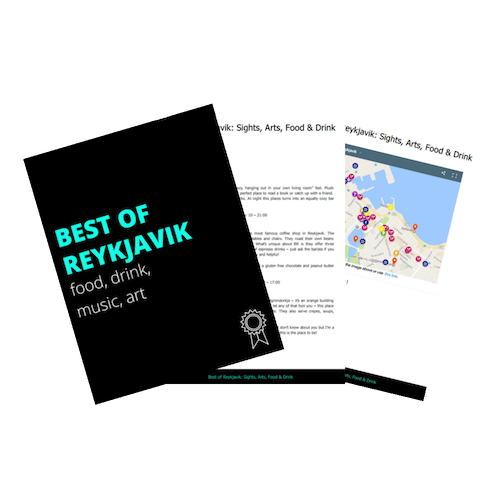 Get you FREE Iceland packing list for men! Hey men - wondering what to pack for your trip to Iceland? Don't worry - I got you covered so you don't forget a thing! 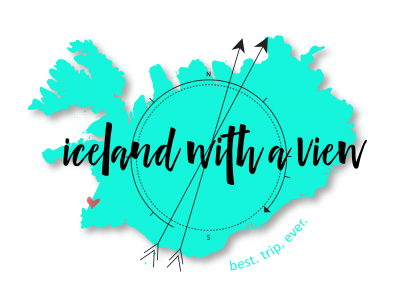 PLUS instant access to the Iceland Travel Team Facebook group! A community of people to connect and interact with, ask questions, and share your awesome Iceland travel experiences!